HOLBROOK, NY--(Marketwired - April 11, 2016) - American Portfolios Financial Services, Inc. (APFS), a privately-held, independent broker/dealer that serves financial professionals nationally, is pleased to announce that it has recently appointed legal counselor and consultant Robert J. Moses to the American Portfolios Holdings, Inc. (APH) Board of Directors Advisory Board. The APH advisory board brings a diverse mix of outside expertise in the areas of broker/dealer infrastructure; correspondence clearing; investment banking; financial management; Web-based enterprise data management and financial services software development; financial service solutions reporting; and broad-based marketing. The addition of Moses lends an added perspective with respect to legal matters surrounding financial services and investments, further rounding out the board with a full body of collective and vast knowledge to be a meaningful and contributing advisory board participant for American Portfolios' (AP) board members, and senior and executive management teams. Said American Portfolios CEO Lon T. Dolber about Moses, "AP has built a self-sustaining, technology-independent firm, with the intellectual capital and capacity to seize, by far, the biggest opportunities for growth that I've seen in our business for quite some time. We are very fortunate to have Robert join the advisory board to AP Holdings' board of directors at this most pivotal time, to weigh in on key strategic business decisions and help us navigate a complex -- and often disruptive -- regulatory, B/D and investment advisory business environment." Moses brings with him more than 25 years of extensive experience in the financial services industry, which enables him to provide counsel and consulting related to the legal, regulatory, compliance and product due diligence areas of financial service and investment businesses. 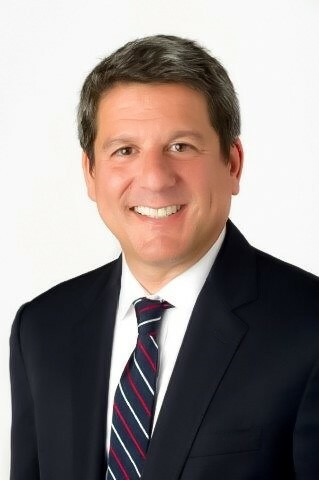 Prior to opening his private practice in 2015, Moses served as general counsel, senior vice president and a member of the board of directors for First Allied Securities, Inc. During his tenure with the independent broker/dealer and registered investment advisor (RIA), Moses was responsible for building and managing the firm's compliance and supervision departments, as well as developing and implementing written policies and procedures. This role provided him substantial familiarity with general financial services business matters, litigation, and regulatory and enforcement matters before the SEC, FINRA and state securities regulators. He was also responsible for overseeing the firm's product due diligence efforts, gaining extensive knowledge of the retail side of alternative investments. An Investment Advisor Representative (IAR) who holds Series 7, 24 and 63 securities licenses, Moses possesses an informed sense of financial industry standards and best practices in the regulatory, compliance and supervisory areas of the business. In his private practice -- RJM Counsel, PLLC -- he provides sensible, real-world advice to financial services market participants. He specializes in helping RIAs navigate through the complex environment in which business is conducted, including adhering to a fiduciary standard of care that requires them to act and serve clients' best interests. Additionally, Moses' broad knowledge and unique skill set aids broker/dealers in protecting their business and improving their growth and day-to-day operations. This latest appointment to the APH Board of Directors Advisory Board is in keeping with APFS' five-year roadmap for strategic growth. Headquartered in Holbrook, N.Y., APFS is a full-service, independent broker/dealer and member firm of FINRA and SIPC, offering a complete range of financial services, including personal financial and retirement planning, securities trading, mutual funds, access to investment research, long-term care planning, insurance products and tax-free investing. Fee-based asset management is offered through its sister subsidiary, American Portfolios Advisors, Inc., (APA), an SEC Registered Investment Advisor. Both entities, along with technology division American Outsources, LLC (AO), collectively reside under the legal entity American Portfolios Holdings, Inc. (APH). Full-service securities brokerage is available through a clearing firm relationship with Pershing, LLC, a BNY Mellon firm, the securities of which are held on a fully disclosed basis. The company currently serves 786 independent investment professionals located in 356 branch locations throughout the nation, and was named Broker-Dealer of the Year* (Division III) by Investment Advisor magazine in 2015. Jay Lewis, founder of Nathan & Lewis Securities; Norman Malo, former CEO of National Financial; Arthur Goldberg, former CEO of Integrated Resources, Inc.; Steven E. Rothstein, former EVP and CFO of AIG Advisor Group, Inc.; Paul Tyler Sr., VP of Strategy and Corporate Development for Fidelity & Guaranty Life; Atindra Barua, President and CEO of TrustFort; and Robert Moses, founder and principal of RJM Counsel, PLLC.